There's nothing better than a homemade parfait, but we rarely have time to make it. I was never really a fan of a store bought version, unless it's from a really good deli, it's really hard to find a quality one. 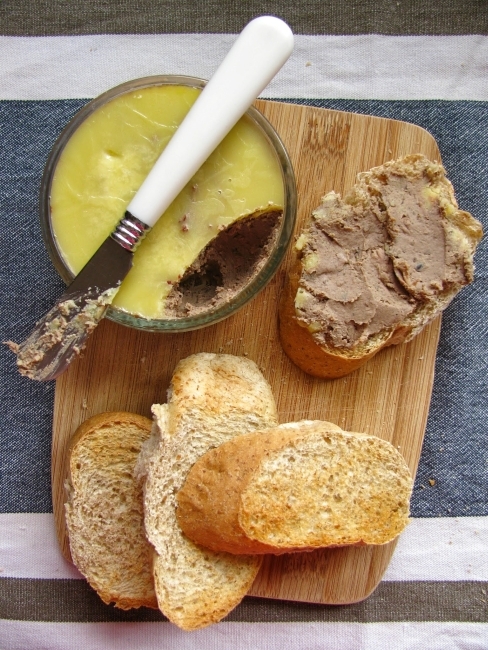 If you love liver parfait you'll be happy to know that you can make it in less than 15 minutes, then it just a bit of waiting time for it to cool and set in the fridge - that's the "cheating" part here ;) Yes, it's really that quick and really quite easy to make. I believe that when making a pâté you should really buy the liver from a local butcher, please don't but it from a supermarket. For such a small amount needed and when there's barely few ingredients involved, you want the best you can get! You can use any liver, being it chicken, duck or my personal favourite - lamb. Lamb might not be to your personal taste though, as it's quite fragrant and strong. If you normally don't eat/like lamb meat, don't make the lamb parfait, as the taste is even stronger. 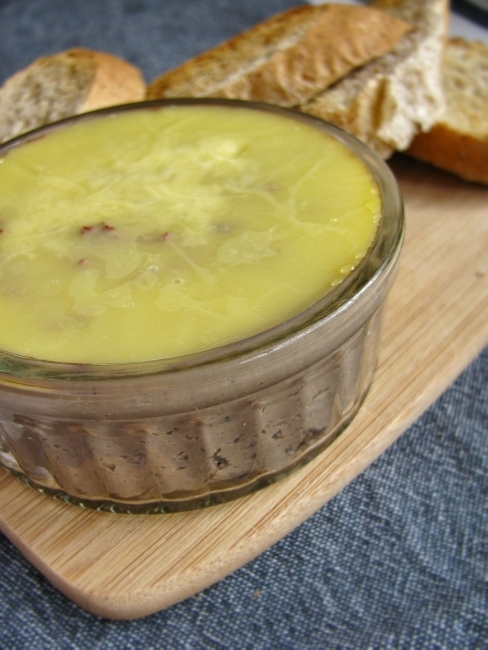 * If adding any onions to your pâté - slice them finely and sweat/soften them on a pan with a bit of butter, glaze with a bit of brandy, cool down and add when liquidizing. Heat a pan and melt some butter, quickly fry livers with garlic, to keep them still a bit pink in the middle. Take it off the pan, only now season with some salt and pepper and put into a liquidizer jar. Deglaze the pan with the brandy and add the liquid to the livers. Add a tablespoon of clarified butter and blitz until it's all smooth consistency. Transfer to little ramekins/jars (shallow ones work the best), cover the top with some clarified butter to create a type of cover/seal. Cover with cling film an put in the fridge for minimum 3 hours to cool and set.